Many people really are into Matcha these days and I'm talking about people all over the world. Here in Japan, Matcha green tea is something we sometimes take for granted. You see it in everything....from everyday beverages to cakes. Matcha can be found all over the country. Since Kyoto is famous for their high-quality foodstuff, naturally they are also famous for Matcha. 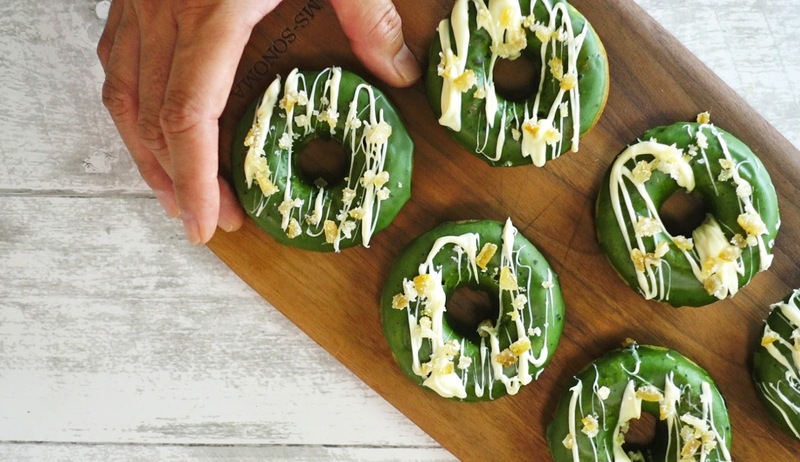 Especially when it comes to sweets, good quality Matcha is a must and this is also true for these Baked Matcha Donuts. The better the quality of your Matcha, the better the results. First grease the donut molds with some melted butter, oil or non stick spray. In a bowl, sift in flour, sugar, baing powder and a teaspoon of matcha powder and mix well to combine. Next, add in the milk, melted butter and egg. Mix until the batter is smooth. Pour the batter into the donut molds. Then give it a couple of taps to eliminate any air bubbles. Bake for 12-15 minutes at 180C/350F or until a toothpick inserted comes out clean. To make the glaze, combine the matcha powder and hot water and mix until smooth. Add to a cup of confectioners's sugar and mix until the consistency of glaze. It shouldn't be too thick or too thin. If it's too thick, add just a tiny amount of water and mix until you get the right consistency. Once donuts are done, take them out and cool completely before glazing. Once they have cooled, dip them into the matcha glaze and put them on a wire rack to let the glaze set. Drizzle on the white chocolate and top with candied lemon if you like. 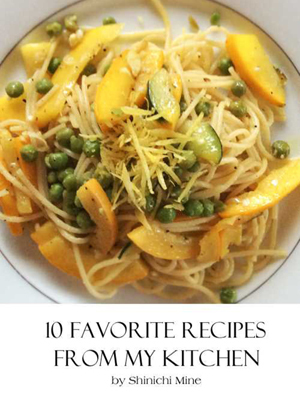 If I'm serving them right away, I like to add some fresh lemon zest on top for extra lemony flavor. Enjoy! I tried to make this recipe but the measurements seem off. It turned into a dough not a batter with 1 cup of flour to 1/4 cup of milk plus the egg and butter it didn't seem to be enough liquid. Did you use a finer flour? Hi there. Sorry for the confusion. Yes we used cake flour for this recipe. I'm so sorry for not making that clear. I do hope this helps.